Weir Oil & Gas Dubai has signed a multi-year contract in Iraq worth more than US$4 million. Under the contract, Weir Oil & Gas will provide workshop services, machine shop services, emergency manufacturing and engineering support for a major international oil company’s Well Operations. 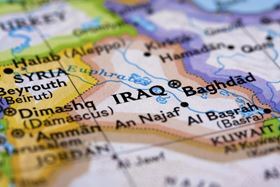 Last August, Weir Oil & Gas Dubai announced that it had signed multi-year contracts more than US$50 million in Iraq with two international oil companies. In the EMEARC (Europe, Middle East, Africa, Russia and Caspian) region, Weir Oil & Gas provides an off-the-shelf range of products, as well as customized wellhead solutions designed to meet unique specifications. The company provides in-country service and support through Centers of Engineering and Manufacturing Excellence. David Paterson has more than two decades of experience in the oil and gas sector serving as president, Artificial Lift at Schlumberger since 2016.